We’ve all seen those great landscape photos of the beach with wonderfully soft looking water washing onto shore or silky smooth waterfalls flowing over the edge of a cliff. How do we recreate this? It’s actually quite simple, there are just a few things that need to be done to create this effect. Canon 5DMK2 with 24 -70 L at 24mm, ISO 100, f22 @ 2.0 Seconds. The technique is very simple: long shutter speeds with your camera on a tripod. But there can be problems that you will need to correct, for example, your shutter speed is not slow enough due to the scene being too bright, the sky blowing out above the scene due to too much light hitting the sensor from bright parts of the image, water ruining your equipment, camera movement, etc. There are a number of pieces of equipment that can solve these issues. Before we head off and attempt these images there are a few things which are absolutely essential and a few things that are nice to have. Camera – Your camera should allow you to adjust ISO, aperture and shutter speed. This will give you total control over your exposure. 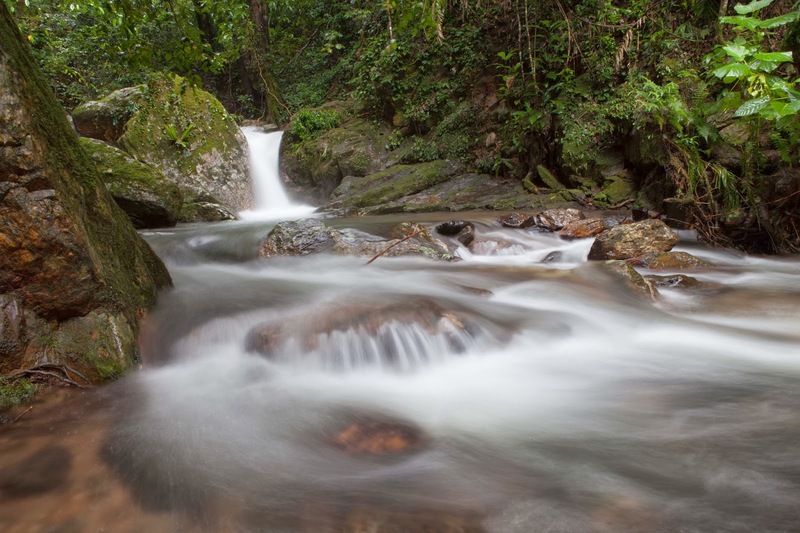 The shutter speed needs to be able to stay open for at least a few seconds to properly blur the water movement. A CSC or DSLR would be ideal but you can get good results from higher end compacts, as long as they allow you to control the exposure variables (ISO, aperture etc.). Wide angle lenses are ideal. Tripod - A good, solid tripod is ideal, try to stay away from the cheaper tripods as they can have some movement in them with factors such as wind. Heavy tripods are more stable over long exposures. Also the shorter you have the legs, the more stable the tripod due to the lower centre of gravity and less flex. Generally with landscape composition it’s a good idea to be low to the ground anyway and some tripods can go lower than others. Shutter Release - The shutter release allows you to remotely activate your cameras shutter, either with a cable (which is ok) or wirelessly (which is much better). The wireless option eliminates the possibility of you causing movement in the image due to snagging or accidentally moving the cable. Wireless shutter releases generally do more than just release the shutter, some of them allow you to do multiple exposures for star trails or time lapse movies. Filters - There are a few filters you can use. The most obvious one is the neutral density filter (ND) which reduces the amount of light getting to the lens. 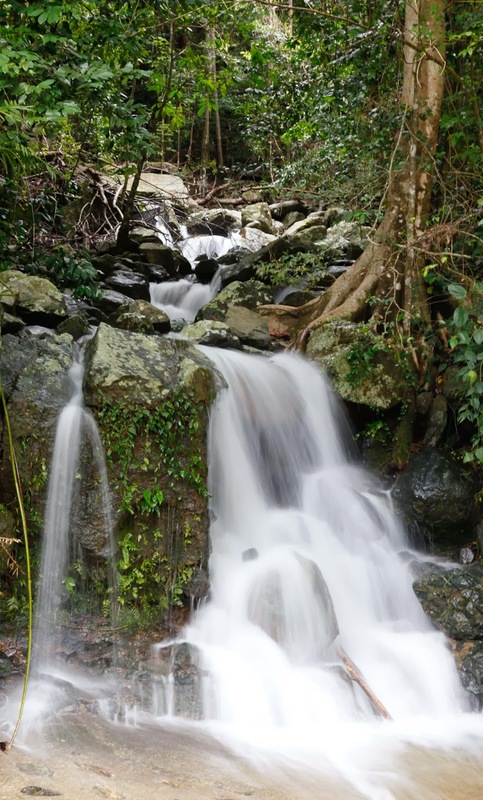 This slows down your shutter speed allowing the water movement to be slowed down to give a silky water effect. This filter is available in darkness ratings from ND2 (blocks one stop of light) all the way up to an ND400 (stops 9 stops of light). The other is a circular polariser (CP) filter. This filter removes or reduces reflections off of non-metallic surfaces, including water, glass and tree foliage and grass. This tends to make water look clearer as it removes reflections from it allowing you to see through the water easily. It also makes colours seem more saturated: think bluer skies and greener grass. The last filter to consider is a graduated neutral density filter (GND); this one is clear on one end but dark on the other with a gradual move between the two ends. Here is a link to a Cokin kit that starts you off with three filters and a holder. This filter is used in landscape photography to darken the sky if it’s overexposed in the image. For example, if the sky has lost all details due to over exposure but the waterfall is correctly exposed then you would use the GND filter to reduce the brightness of the sky but leave the waterfall correctly exposed. First you need to find the right location. Ideally this would be a spot where the water is moving noticeably such as a beach where the waves are hitting the sand or a rocky outcrop in the foreground. A waterfall or quick moving stream are also good to photograph as you can smooth out the water to give a nice effect in contrast to static rocks in the stream. When you are setting up in these locations you need to be mindful of your safety and the safety of your equipment. The nature of these places can be slippery and rocks are very unforgiving to falling gear and people. I have smashed a lens shooting a waterfall before and it’s a bad feeling when you see it happen. Also watch out for wildlife (snakes, spiders and leaches) that can make surprising appearances at surprising times and also can lead to damaged gear. Set up your tripod low to capture the foreground clearly in the image and try to relate the foreground to some background elements, this brings a cohesive nature to the photo. Make sure to get your camera level (using one of these) and then attach the filter. Note that some filters can make it impossible to see through the lens to focus, for example an ND400. In this case you will need to focus prior to attaching the filter. When exposing the image to get the water smooth, set a slower shutter speed. How slow will depend on several factors such as the speed of the water, the limits of your equipment and even whether you are shooting between waves and need to move out of the way before you get drenched. The longer the shutter speed the smoother ocean waves will look in the final image. Waterfalls can be exposed for as little as 1 second and get good results as the water is falling so fast that it blurs very quickly. Experiment to find what works best for you in the situation you are in. You can slow the shutter speed down further by using one of the ND filters, the darker the filter, the slower the possible shutter speed. In the two photos below the one on the top had a shutter speed of 1/20th of a second and you can still see some definition in the water drops. The photo on the bottom had a shutter speed of half a second and the water is much smoother in appearance. When exposing for long times it’s important to remember that any movement made by the camera will result in a blurry image. As already mentioned a good tripod is very important. Also set your camera (if it has the function) to “pre mirror lock up” which reduces mirror slap movement by locking the mirror up when you press the shutter once and then taking the photo on the second shutter press. Also make sure to use a cable or wireless shutter release to stop your finger moving the camera when firing. The last rule is to experiment! Leave the shutter open longer and see what happens, move your filters around, get coloured sunset filters, change your white balance setting or adjust your aperture. Continually try new things and shoot as much as you can, there is no substitute for getting out there and catching some light! Go on over to Facebook and send us some shots that you’re proud of! Good Luck!